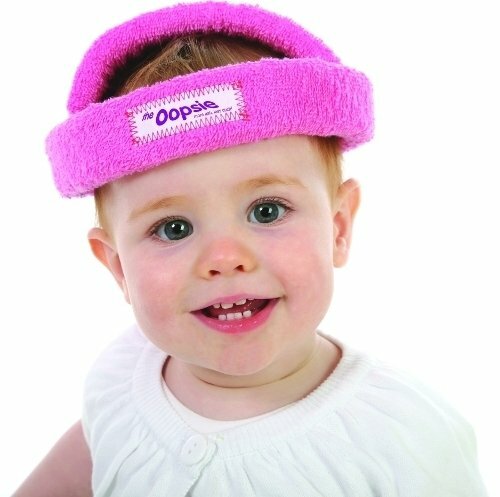 'The Oopsie' Baby Head Guard was created after our son suffered many falls whilst in the early stages of walking. We looked in the UK marketplace to buy some head protection to prevent the many bumps and bruises he was suffering, but found there was no suitable solution. After extensive market research, we learned that babies and toddlers were quite happy to wear something lightweight and comfortable, but they found a chin strap irritating. Therefore we set about designing a head guard that offered our babies protection, whilst also ensured comfort. The Oopsie is a Patented product, any infringment will result in legal action.